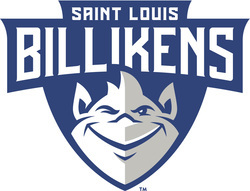 Saint Louis Basketball Day Camps will take place in Chaifetz Arena. Chafietz Arena is an $82.5 million Arena that hosts Saint Louis Men's Basketball home games and practices. The Saint Louis Men's Basketball staff and players will be on hand to put campers through drills, skill work and competition. For more information, please contact the Billikens men’s basketball office at (314) 977-3170 or through email at slubasketballcamps@gmail.com.